It's down to 80 in here. I put my hair up. I rubbed baby powder in the creases of my arms and knees. I made a pitcher of Ice Tea with lots of ice. I shut the door to the basement, because when the temperature in the house reached 80 degrees, I would need a cool place to go. I decided we would eat leftovers for supper. I snacked on frozen blueberries. You see I have allergies…hyper allergies…that keep me in my allergen free home 97% of the time. When our windows are open they have special allergy screens in them. They block most of the pollen, rain and some of the breeze. It is just the way it is in my life. The tiniest trigger can start a reaction that will make me sick for a week. I cannot get overheated…you will never see me sweat. Sweating causes a rash that leads to hives that can start a domino effect with my throat swelling and feeling like I am choking. Yes, I carry two Epipens. I had my plan for when the house got hot. What I did not plan on was a fire across the street! Luckily, he was able to leave work for a few minutes; he works 2 miles away, and uncover the compressor so we could run the air. By the time he got here it was 81 degrees and I just wanted to go to bed. 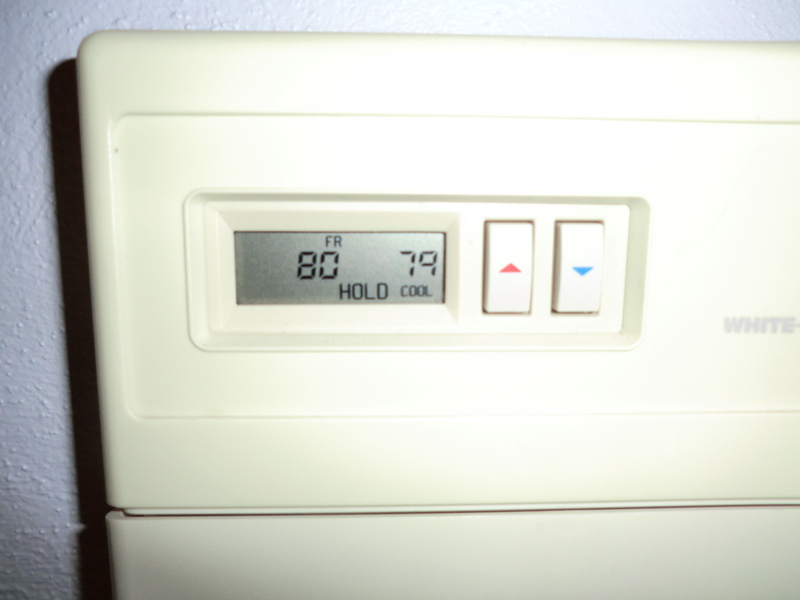 I set the thermostat on 79 degrees and when the house is cool, and I no longer smell smoke, I will shut it off. My parents refused to turn the air conditioner on until July. I never understood that when it would be in the 80’s in June. I go by the temperature inside the house. Yesterday it got up to 81 outside, but since it was the first hot day, the house did pretty well. Running the air for a few hours will be much cheaper than a doctor’s visit and being sick for a week. If you have infants or elderly people living with you, remember they can’t take the heat. If your spouse does not want to turn on the air and the temperature is over 80, tell them Frugalfish recommended it! P.S. The fire is out and the firemen are gone. This entry was posted in Be Prepared, Health, Important Things and tagged Be Prepared, Health, Important Things, weather by Frugal Fish. Bookmark the permalink.